Sorting Out Your Winter Wardrobe and Transitioning Through to Spring! With Christmas over and done with and spring on the way, it's easy to think that within a few weeks we'll all be busting out our spring/ summer wardrobes and spending time outside in the sunshine. However, realistically it's just not the case, and we're all going to need to wrap up warm for a few more months yet. Thankfully the colder weather can be a great time for fashion, you can layer up and play around with textures, as well as enjoy some of the darker deeper colours of the season. 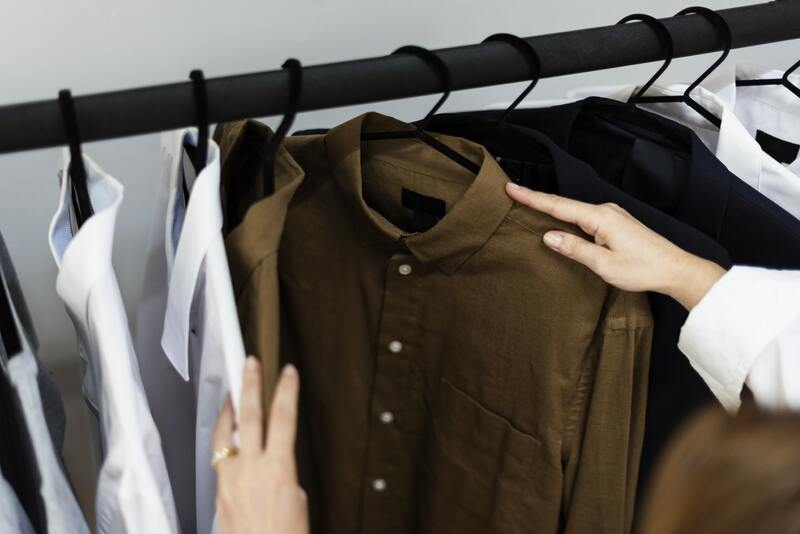 Here are some tips for getting your wardrobe in order for the next few months, and transition it through to when sunshine returns to our lives. Fingers crossed we get something at least close to that incredible heatwave last year! It's so easy to end up with a wardrobe stuffed full of clothes when in reality, you only ever wear a few items. If it's been a while since you decluttered, a change of season is the perfect opportunity to crack on with it. Go through every item, try things on and check for signs of damage. Anything that looks scruffy, is out of style, no longer fits or you just haven't worn in a really long time- get rid! Give away or donate clothes that are still good, and throw away the rest. Don't forget socks and underwear- these will need to be regularly replaced before they're worn to death. Once you've scaled down your clothes to things that you actually like and wear, you can make a list of anything that's missing. Knowing exactly what you need can be really helpful and save time when you're out shopping. To get the most out of your clothing choices, choose pieces that are warm enough to be worn now, but will still last you through to the spring, as the sun will be out but the temperatures will still be fairly low. Find items that look stylish as well as being warm, for men, light jackets and hoodies are perfect for this. The styles shown above are from Jacamo who have tons of affordable wardrobe staples. I still assumed this was a shop for larger men, but they actually do all sizes including smaller ones so are ideal for all guys. Jacamo are part of the JD Williams group that also include some of my favourites, Simply Be and Fashion World, as again they're good for high quality, affordable staples. For women, a mac jacket makes a good investment at this time of year, it will keep you warm enough for now but will still be light enough to wear right through to the spring. Light knitwear works well, and for women, dresses with long sleeves. These can be worn right now with tights or leggings, boots and a coat. When the weather warms up, they can be worn with sandals and a light cardigan. Winter fashion tends to feature quite dark colours, so one way you can bring a bit of interest to your look is with accessories. Hats, gloves and scarves are an easy and practical way to add some interest and colour. If like me you're a fan of seasonal makeup looks, red lipstick and/ or nails adds a vibrant pop of colour to any dark outfit. How will you be transitioning your winter wardrobe through to the spring?